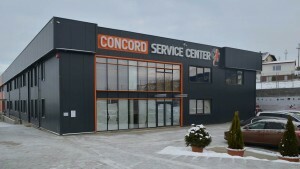 In 2012 we have bought 6000 m2 property to build a modern Service and Repair factory. As of the 15th of November 2014 we have finally moved into our own 4000 m2 Service Center. This modern Service & Repair Center contains for instance ESD Flooring, a Class 100 Clean Room, Dedicated Repair Departments for the various kind of Services we offer. And much more. We still have the possibility to expand. The location is fantastic as it is directly on the edge of the city Iasi from the main road to Bucharest so trucks, customers etc. do not have to cross the entire city to reach us.